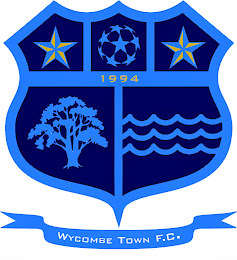 Wycombe Town FC: LAST GAME OF THE SEASON! Wycombe Town FC finished the season with a 2-2 draw with Chinnor Exciles, it was end to end stuff with Wycombe fielding several of their younger players. Missed opportunites robbed Town of a win after playing a lot of good passing football. Now we are looking forward to next season and a new era in Towns' history! A DEAR FRIEND AND MOST LOYAL SUPPORTER!